Calling all entrepreneurs, innovators, the next “big idea” project generators and families all over the Valley! 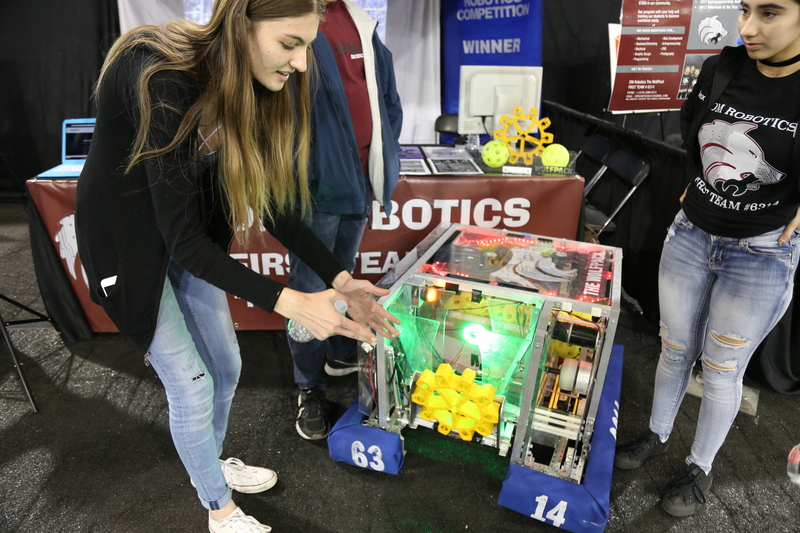 Chandler-based tech company, Kadima.Ventures is recreating their STEAM City program at Luke Air Force Base, during “Luke Days” on March 17 and 18th from 9 a.m. to 5 p.m. The STEAM City program will have hands-on activities, experiments and immersive learning opportunities for children and young adults of all ages. Kadima hopes to inspire innovators, leaders, doers and decision-makers while introducing them to endless STEAM career pathways. “After our first activation at Barrett-Jackson, Kadima.Foundation is excited to dive right in and continue to expose the children and even adults of today as to what resources are available to them and how to apply those resources to future jobs, problem-solving and generate overall empowerment” said Tim Wales, co-founder and CEO of Kadima Ventures. Companies, schools and educational programs will be showcasing their products and services to over 400,000 people at Luke Days,” one of the few opportunities where the general public is welcome to visit the military base. Companies like Microsoft, Desert Mountain Robotics Club, AZ Challenger Center, STEM Sports and Andretti Motorsports are just a few of the organizations that will be showcasing their latest products and innovations and event attendees can enjoy the first Blue Angels airshow since 1992. There is no charge to attend but tax-deductible donations that support STEAM initiatives can be made to Kadima.Foundation. If you’re interested in getting involved, please contact: steam@kadima.foundation. This is the first of many Kadima.Ventures STEAM City activations that will be taking place across the United States. Luke Days at Luke Air Force Base is located at 14185 Falcon Street, Luke AFB, AZ 85309.